This is the last junglecast – #23 – in 2017. 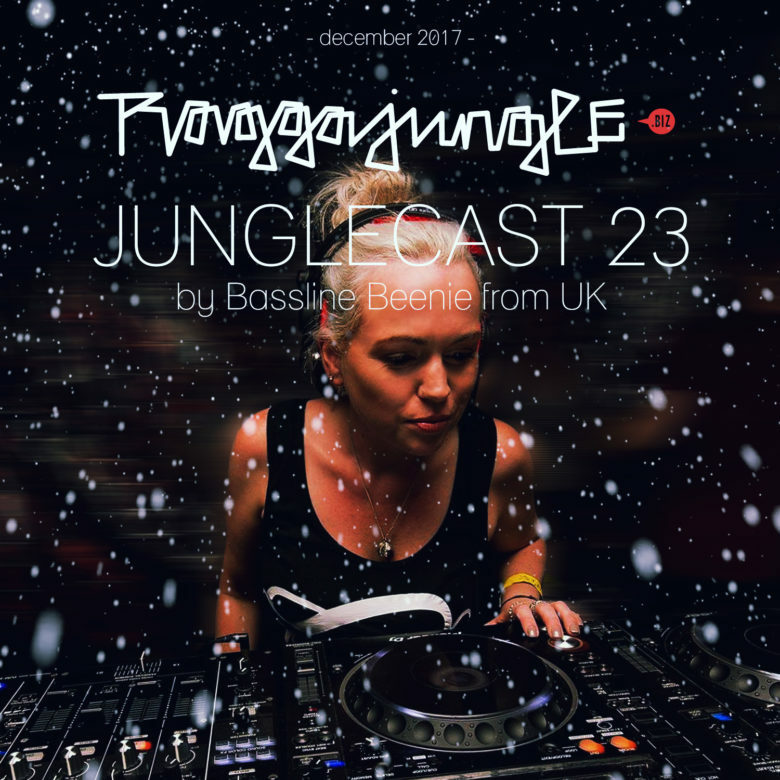 The december edition is a lovely jungle mix by Bassline Beenie from Chelmsford/UK. She is a long time junglist makin UK Soundclash Sessions with Demented Frequency under ASBO Records flag and she is djane with Drum & Bass Express Girls. In this Junglecast we can listen to 19 amen bangers by Krinjah, Tuffist, Pastaman, B.O.D.A, Bazia, Vocoda, Omen Breaks, Kosine, L.A.B and many more.